Yas Island's 4th Annual Oktoberfest is just around the corner! Celebrate the Bavarian way and soak up the atmosphere at the biggest and most authentic Oktoberfest Festival in Abu Dhabi with German band! WIN 2 tickets with our competition! audio tonic, now adding the vital 'Element' on theRelax @ 12 roof terrace, Aloft Abu Dhabi, every Thursday night from October 6th! 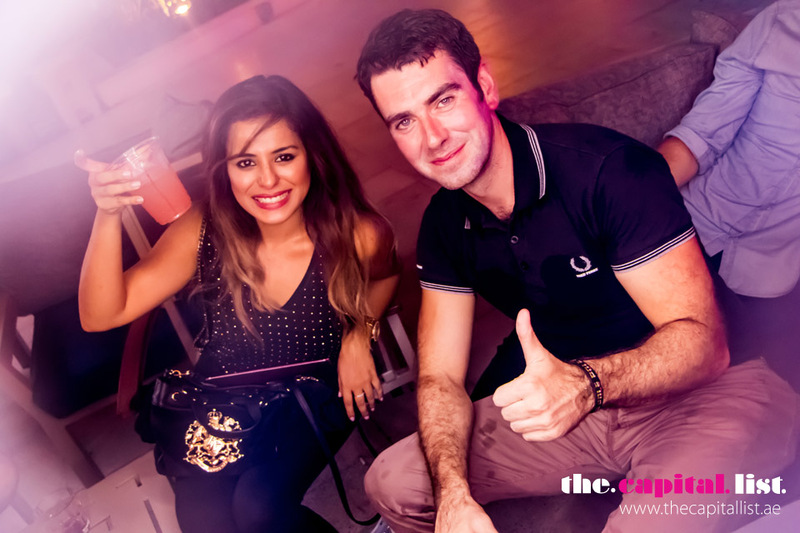 The UAE's longest standing and influential House brand is back in the capital, at their new home for Thursday nights! Don't forget Stills' 7th Anniversary special will last until 7pm on Thursday, September 29th. Drop by and take advantage of their selected beverage at AED 7 only! Crowne Plaza Yas Island. Buy any of the two German beers and receive 50% discount throughout this "Pretzel's & Beer" at the Towers period 17th September-3rd of October at Jumeirah at Etihad Towers. Welcome the weekend with none other than Iris Yas Island resident DJ, Raz Delmundo. Half-pricedHappy Hour drinks 6 - 8pm and breathtaking views of Yas Marina as standard, see you there! This Friday, the BIGGEST CARIBBEAN BEACH PARTY returns to the capital! An exciting cultural explosion of Caribbean music and Jamaican cuisine ft international superstar reggae singer, J BOOG, supported by Reggae Beachfest all-star artists. Sheraton Abu Dhabi Corniche, 5pm onwards, tickets (AED 100) are available at the door. We are all set for another legendary Liquid RAIN POOL PARTY at Aloft Abu Dhabi this Friday with the crowd's favourite music, a giant pool and over 1k of Abu Dhabi finest partygoers dancing in the rain! The doors open 8pm - see you there! Every Friday, dedicate yourself to the best of urban music, courtesy of MAD on Yas Island resident DJsDeny Neville and Devon Kosoko. Complimentary bar for ladies. For those looking for great Japanese food, a fabulous bar scene and an ultra-hip setting, look no further than Sho Cho Abu Dhabi. Each Friday, DJ GEM.N.I takes guests on a nostalgic house party journey to the best of 80's and 90's. All pouring spirits are at just AED 30 between 4-8pm, and there is 20% discount on F&B for Etihad. Discover an epicurean expedition from around the world cuisine, experiencing a unique variety from55&5th The Grill, Sontaya & Turquoiz paired with exclusive beverages every Friday from 1pm - 4pm at St Regis Saadiyat. It's the return of the PAINT PARTY at Al Maya Island with our array of Face painters, dancers, stilt walkers, UV paint & FREE GLOWSTICKS + DJ Lucy Stone & Alex Lees alongside Stew Magoo & Chad Phunk. This one will get MESSY! Blu Sky is kicking off Oktoberfest with daylong offers from 1st to 7th October on a wide selection of traditional, thirst-quenching German beverages. Accompany your drinks with authentic Bavarian pretzels, cheese and charcuterie platters, apple strudels and a selection of sausages. It's Happy Hour every day in Jumeirah at Etihad Towers! Perfect for afterwork hours with co-workers or hangouts with friends, you can daily enjoy a 50% discount on selected drinks at their Lobby, Pool and Ray's bar 5pm - 8pm. Get your "Ein Prosit" on when the original Oktoberfest in Brauhaus comes back October 5, continuing until October 14. Starting daily from 6pm till late, the City's longest running German festival will bring authentic traditional games, music, and seasonal food to the capital. Bringing the evenings alive, the visiting alpine band will give plenty of opportunity for singing and swaying along to all the festival favourites. German Chef Kimmig has planned feast for all, featuring many specialty items direct from Munich. Wednesday nights at Turquoiz - a treat for the ladies. Amplify your evening with Ibiza sensation tunes by Dj Chad Phunk and enjoy 3 signature sips with tapas platter for AED 55 per person. St Regis Saadiyat.